***Recently added “One star or six star” TimeOutLondon Review. Trouse Press’ comprehensive overview of Scott’s career, now with a review of The Drift. Sydney Morning Herald review and interview. 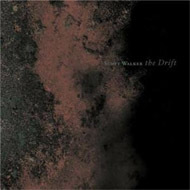 Brian Turner of WFMU (”The freeform radiostation of the nation!”) writes about Scott and offers his opinion on The Drift here. “a work of staggering emotional sentiment and complexity” says Dusted Magazine. “It could just as well exist in any other medium—say, as a wall-size painting or a dense experimental film.” says Tim Kinsella of the Chicago Reader. Scott talks to The Age. The New York Times review. And here is the BBC online review with reader commentary. Cherwell 24, Oxford University’s student newspaper. From the streets of Galway…a capsule review from the Athlone Advertiser. 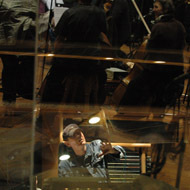 “it’s like the One Ring that ruled them all” contends David Murphy at Contact Music. The detailed and in-depth AllMusic.com article by Thom Jureck: “one of the most unclassifiable records ever to come down the pipe in the (dis)guise of rock.” And the Allmusic review. “The Drift—in all its nightmarish, bloody glory—is as bold and profound a comment on our times as has emerged so far this century.” says PopMatters. The Brooklyn Rail is Taking it Uneasy with the Drift. “Like Edvard Munch’s “The Scream” set to music” says Treble. The Boston Phoenix finally posts a review here. “Genius? Yes. Godlike? Ditto.” asserts the Philadelphia Inquirer. And here is a review by a devoted fan, frequent poster on the Scott Walker Yahoo group, our friend Robert van Gameren from the Netherlands - thanks Robert! 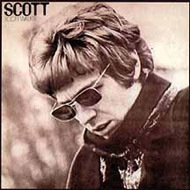 “an absurdly pretentious album” says Jess Harvell in Baltimore City Paper.Stylus Magazine decides it is “the least funny Scott Walker album ever made”. “rudderless” , claims some reviewer at Seattle’s The Stranger. The Drift gives David Dunlap Jr at Washington City Papaer a “Pretension Headache”. Musings on The Drift at A Personal Miscellany: here and here. NATHANTOWN asks: Why is THE DRIFT so frightening…?